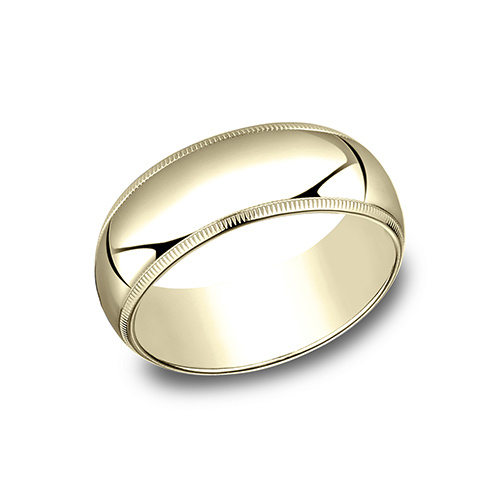 14kt yellow gold 8mm milgrain wedding band is die struck and standard fit. Oval center, polished finish. Thickness: 1.3mm. Made in USA.